Fifty-nine participants from the Philippines, Australia, Brunei Darussalam and the United States are competing in the two-day event which will also feature master classes and a performance of past AGP winners. Ballet Manila artistic director Lisa Macuja-Elizalde conducts a master class for participants in the first Asian Grand Prix Regional Competition held in Manila in 2018. The participants will compete in the following divisions: Pre-competitive A (8 to 10 years old), Pre-competitive B (11 to 12 years old), Junior A (13 to 14 years old), Junior B (15 to 16 years old) and Senior (17 to 19 years old). 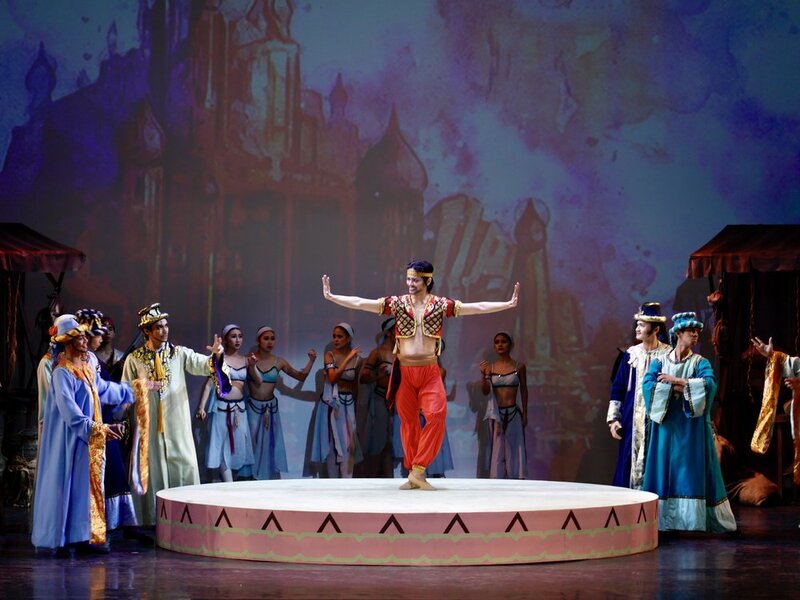 Winners of the regional competition in Manila as well as those held in other key cities will move on to the Asian Grand Prix International Ballet Competition in Hong Kong in August. 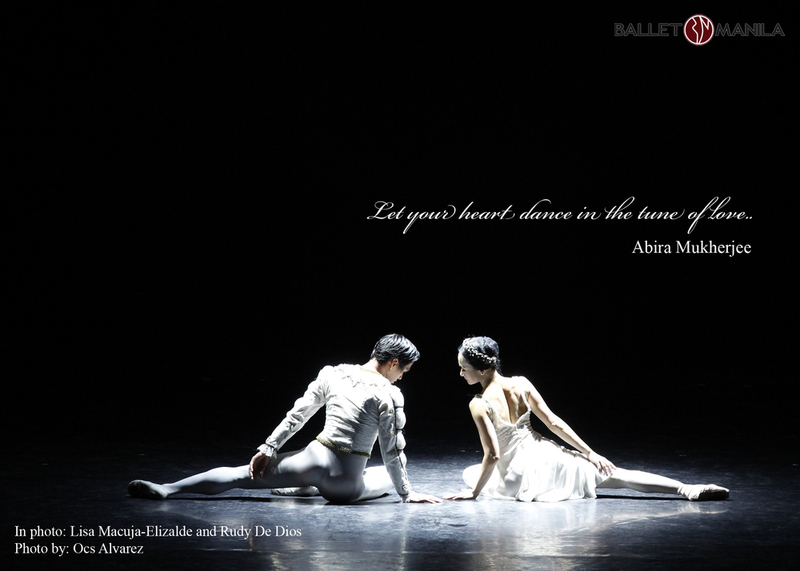 Ballet Manila is fielding three dancers in the regionals – Germaine Dawal and Juan Angelo De Leon in Pre-Competitive A and Monique Valera in Junior B. Meanwhile, 22 other students of The Lisa Macuja School of Ballet Manila will also compete in the various divisions. From the school’s branch in Donada, Pasay, the competitors are: Serena Cheng and Johanna Yatco (Senior); Joicetin Cheng, Noah Esplana and Daniel Cheng (Junior B); Janell Mateo and Jera Fernandez (Junior A); Isabela Bellosillo (Pre-Competitive B); Mary Nicole Cagayon, Audree Suazo and Anne Lahip (Pre-Competitive A). Also competing from the school’s Fisher Mall branch are: Erika Sasazawa and Lia Rizabella Escudero (Senior); Michaela Galvez and Daphne Montalbo (Junior B); Sophia Therese Villamater and Arabella Armovit (Junior A); Rosa Diana Macabunga, Ysobelle Virginia Manangan, Maria Alexis Aguilucho and Angel Cassey Arizala (Pre-Competitive B). 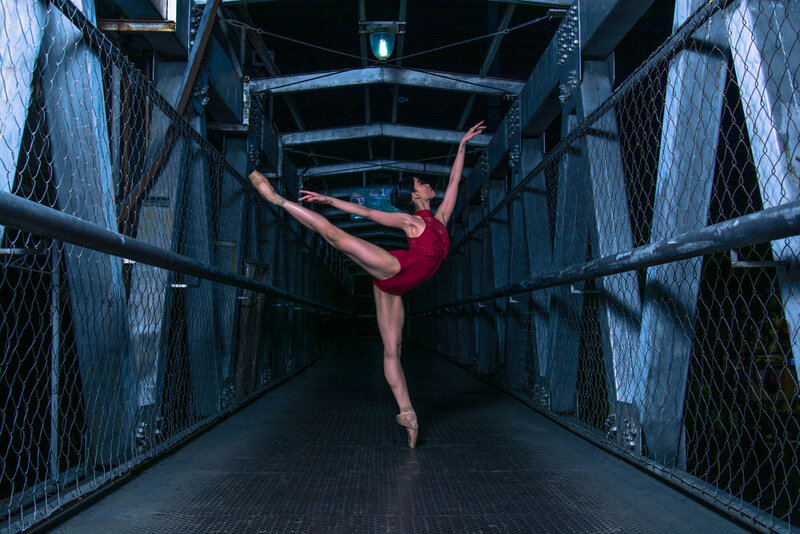 Eriko Ochiai, former principal dancer of Hong Kong Ballet, and Garry Trinder, director of the New Zealand School of Dance, will handle the Jury Class for Pre-Competitive Class and for Competitive Class, respectively, in the morning of April 6. Ballet Manila co-artistic director Osias Barroso Jr. will conduct two open master classes being offered in the afternoon of April 6. The Gala performance on April 7, 3 p.m., will feature Filipino AGP medalists, including Ballet Manila artists: Rench Isaac Soriano, AGP Youth Grand Prix Winner, 2017; BM principal dancer Jasmine Pia Dames, Gold Medalist in the Pas De Deux division, Sansha Excellence Special Awardee and 5th Place Women Senior Division in 2013 and Silver Medalist, Women's Senior Division in 2014; and BM soloist Rissa May Camaclang, Silver Medalist, Junior B Division in 2013. Ballet Manila will also perform the all-male contemporary piece, Aramica, by Bam Damian. Aside from Manila, AGP regional competitions are also being held this year in Auckland, Bangkok, Hong Kong, Jakarta, Kuala Lumpur, Manila, Osaka, Seoul, Shanghai, Singapore, Sydney, and Taipei. In the past eight years, Ballet Manila has reaped numerous honors in the international competition, the most recent of which were a gold medal for Brian Sevilla (Junior B) and a silver medal for Rafael Perez (Senior) in 2018. 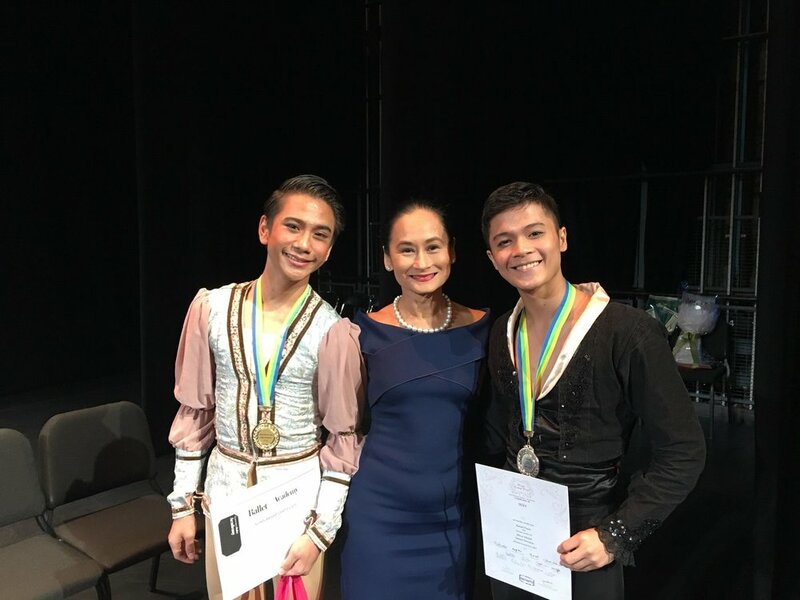 Ballet Manila’s Brian Sevilla (left) won gold in Junior B and Rafael Perez (right) the silver in Senior at the 2018 Asian Grand Prix in Hong Kong. With them is Ballet Manila artistic director Lisa Macuja-Elizalde.